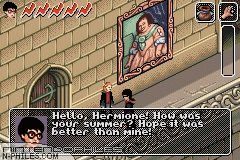 Return to Hogwarts in to latest installment of Harry Potter games for GameBoy Advance: Harry Potter and the Chamber of Secrets. 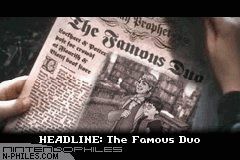 Boasting a whole new engine (which isn't necessarily a good thing) Chamber of Secrets takes on a more 3D look. 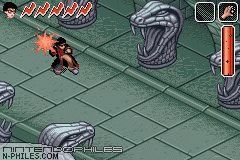 In this game you will learn new spells, take on new challenges and adventures, and hopefully unravel the mystery of the Chamber of Secrets that is rumored to have been built by Salizar Slytherin many centuries ago. Improvements: Quidditch is more realistic and is now in 3D. Graphics have improved, and there are several fun adventures to conquer. Other: Compared to it's processor, this game is a huge disappointment. The overall game play is bad. The game soundtrack is not very good either. It is also sometimes difficult to control the movements of Harry Potter, and the aiming of his spells. This game is very easy and the battle with the Basilisk at the end is horrible. 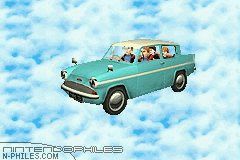 I much preferred the engine in the original game. *For more information visit the Electronic Arts website.